Latin America and the Caribbean (LAC) should be at the forefront for rethinking international co-operation. International co-operation needs a fresh start to tackle pervasive economic, social and environmental challenges and other traps that impede development. It entails more multilateral collaboration, not less, and a firm anchoring in the 2030 Agenda for Sustainable Development. 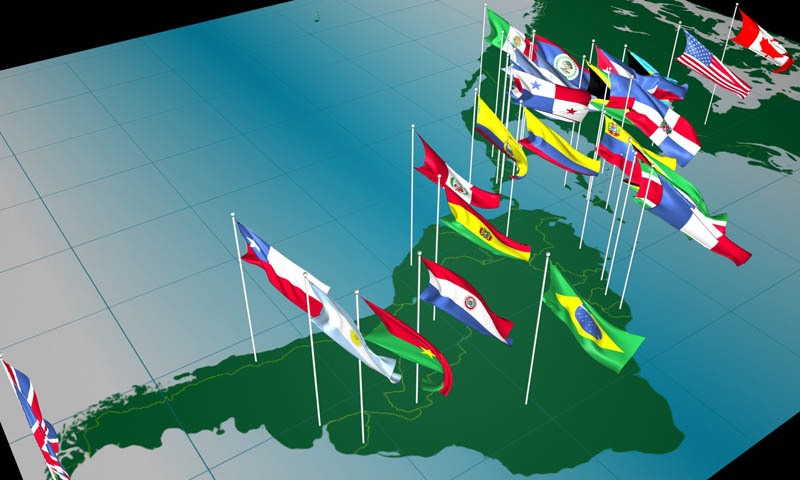 Latin America and the Caribbean (LAC) should be at the forefront for rethinking international co-operation, according to the Latin American Economic Outlook (LEO) 2019. The report was launched today in Buenos Aires, Argentina during the Second High Level United Nations Conference on South-South Co-operation (BAPA+40). Judging by GDP statistics, the progress of LAC since the 90s is undeniable: the region’s income per capita increased by around 50%. Most countries have moved up from low-income status and are now upper middle-income economies. Some have even moved from middle to high income, including Argentina, Chile, Panama, Trinidad & Tobago, and Uruguay, while others such as Costa Rica or Mexico should do so in the next few years. However, “higher national income in Latin American countries has unfortunately not automatically translated into higher levels of well-being for all. Also, cross-country disparities in well-being at a given level of income per capita are still significant in the region. Issues such as a disproportionate impact of climate change, inequalities and other vulnerabilities are still persistent or growing in the region”, said Neven Mimica, European Commissioner. “After the end of the commodity-driven boom of the 2000s, potential GDP growth has been lower than expected. 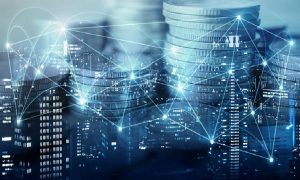 A less favorable global context is exacerbating the region’s structural challenges, such as slow productivity growth”, said Pablo Sanguinetti, Chief Economist, CAF. Social vulnerability: 40% of LAC’s population is currently at risk of falling back into poverty. This “vulnerable middle class” is caught in a vicious cycle of low-quality jobs, poor skills and volatile income. Low labour productivity: output per worker has remained stuck at 40% of that of the European Union for the last 30 years. Low trust in institutions: 64% of Latin-Americans express no confidence in their own government, more than 1/3 are not satisfied with the education available in their country and more than 1/2 are not happy with the health care they receive. Environmental threats: LAC – which holds 40% of the planet’s biodiversity and has one of the world’s lowest ecological footprints – withstands the worst of collective global inaction. The Caribbean’s exposure to surging natural disasters is a stark example. “Escaping those four traps demands vigorous reforms. Stronger public capacities and public-private dialogue are necessary to identify policy priorities and co-ordinate across ministries by adopting and implementing a new generation of national development plans”, said Alicia Barcena, Executive Secretary of ECLAC. These plans should place citizen well-being – and not just GDP growth – at the centre of development strategies. They should align objectives to sustainable development goals across the policy spectrum and link the short- and long-term perspectives – notably to favour transitions to a more sustainable use of resources and low-carbon development paths. Given the region’s strong exposure to global economic and technological trends, overcoming traps also requires new, smarter international partnerships, above and beyond traditional financial and technical assistance, which has become a marginal resource compared with tax revenues. Build multilateral partnerships amongst countries at all income levels, treating all countries as equal partners, and leverage their diverse contributions. Promote national and local development strategies for sustainable development that include the increasing interrelations between domestic and global challenges and opportunities. Broaden co-operation instruments to deepen knowledge sharing, multilateral policy dialogue and capacity building, including co-operation on science, technology and innovation. The OECD Development Centre, ECLAC, CAF and the EU call upon LAC governments to take a leading role in promoting a renewed and inclusive multilateralism that helps achieve the 2030 Agenda for Sustainable Development. “The LAC region is fertile ground to shift to such a new international co-operation paradigm in an effort to overcome the development traps it faces”, said Mario Pezzini, Director of the OECD Development Centre and Special Advisor of the OECD Secretary-General on Development.